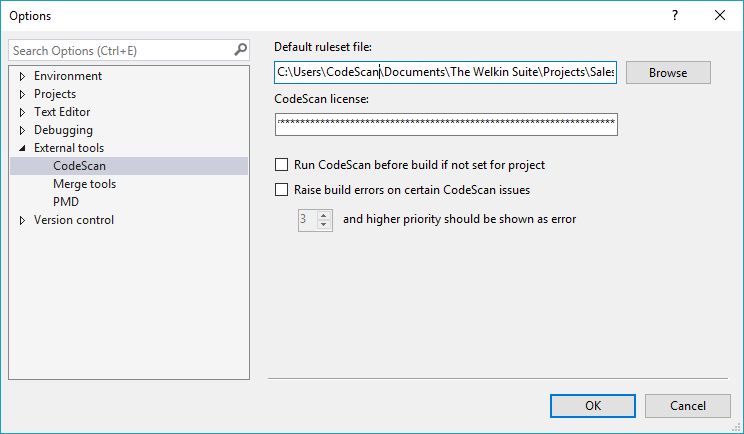 Using CodeScan with the Welkin Suite provides on-the-fly feedback to developers on bugs and quality issues, it is a fully-integrated user experience and requires no extra installation of CodeScan. Go to Tools > Options > External Tools > CodeScan and enter your license key. If you do not have a license key, you can request a trial here. The Run CodeScan before build option executes CodeScan before each build, but only for files that were changed, and are sent to Salesforce. The Raise build errors on certain CodeScan issues option cancels the build process in case of errors. It also allows you to specify what priority of violations should be classified as errors. This will allow you to modify the CodeScan recommended set of rules rather than starting from scratch. Use the checkboxes to select the rules you would like to include. 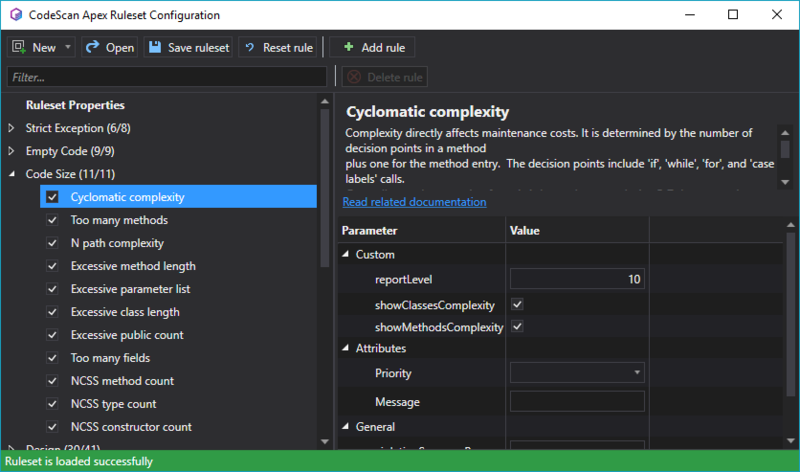 Rule parameters and custom priorities are also configurable in this window. Save the ruleset when you are finished. Go to Tools > Options > External Tools > CodeScan and select your ruleset file as the default ruleset. Right click on the file or project you would like to scan in the Solution explorer and select Scan with CodeScan. 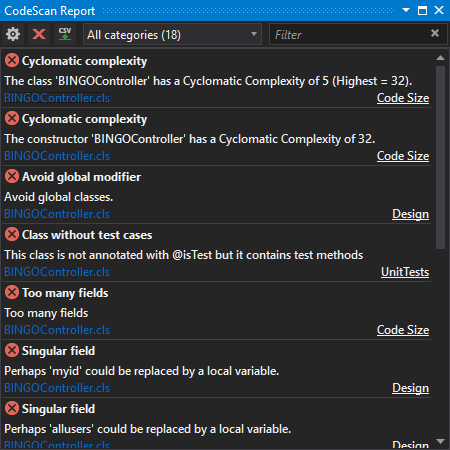 The CodeScan Report window will open and show each violation in a list. The Welkin Suite website also has a great in depth version of this guide, available here.